« Are You Misusing Your Thermostat? And if you’re having a new home constructed, you may want to consider the geothermal heat pump—used for both effective cooling and efficient heating. While the latter may not seem that important—after all, we are in Florida—don’t you want to pay as little as possible for the brief amount of time you need a heater? This would probably be helpful to know before you decide to invest in a new air conditioning system, right? This is not a decision to make lightly, after all, given the installation requirements of such a system. 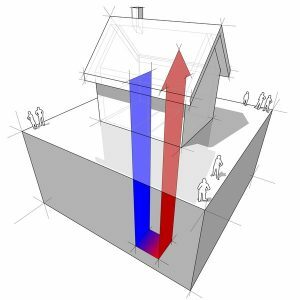 The geothermal heat pump does not create heat, but rather collects heat from within the earth during the winter months, and displaces heat back to the earth during the summer months. It does this from a looped system that is placed underground—in fact, studies have shown that about 70% of the energy used in a geothermal heat pump system is renewable energy from the ground. So if you’re looking to help the environment, it’s an added bonus of using this system. Oftentimes, homeowners are turned off by the prospect of a geothermal system because they believe the installation process is too complex. And it’s true, geothermal installations do take a bit more time (and expertise) than other types of AC and heating systems. But if you have the right HVAC team on your side, there is no need to worry. Still though, how long does installation take? Well, this is dependent on a number of factors, such as how many loops are required, how hard the soil is, the loop configuration that will fit the available space, and the depth the loops must be placed. Planning for a geothermal installation could take the pros a couple of weeks and technicians need to survey the home and property, size the unit, and figure out the right design. One benefit of this complex installation is that you know your home will be accurately matched to the right heating and cooling system for your home. Plus, you won’t have to worry about getting maintenance and repairs done on two different HVAC systems—the geothermal heat pump is a cooling and heating system all in one. Lastly, because geothermal systems have fewer moving parts so long as they are properly maintained they typically need far less by way of system repairs over the years. Contact Kool Breeze of Northwest Florida, Inc. today to discuss if a geothermal system is right for your specific home and situation. We provide a wide range of air conditioning systems and more!